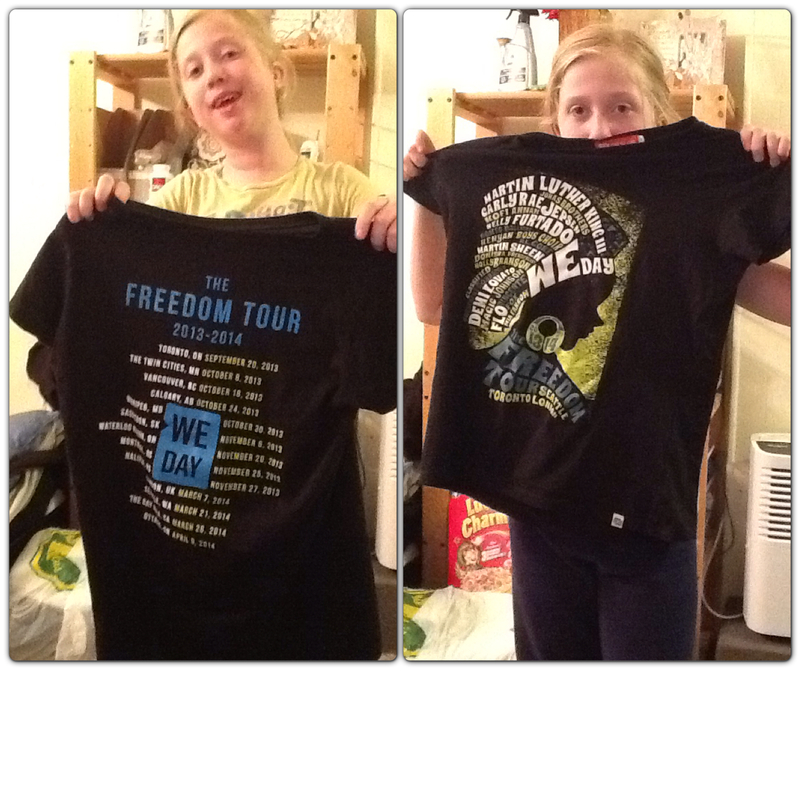 Two things I am going to write about today: We Day and my first EVER Saskatchewan sleepover with my good friend. 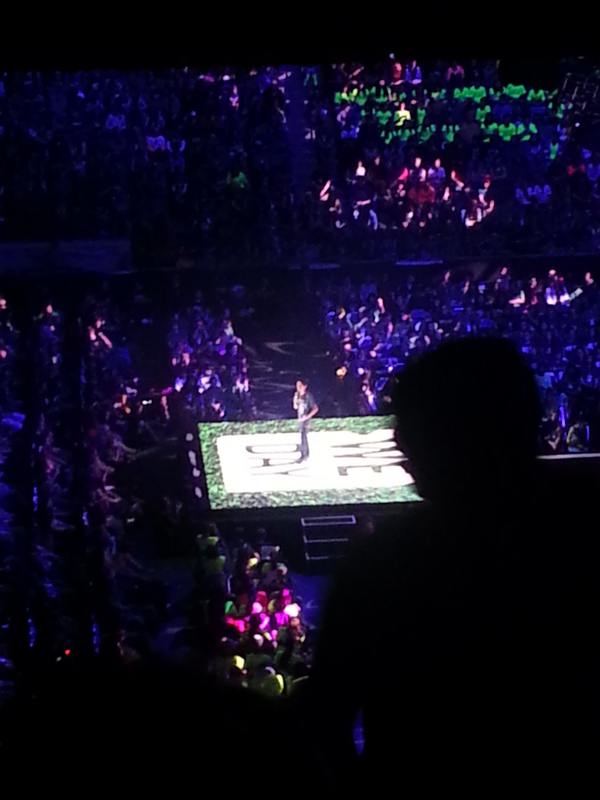 We Day- We Day was the most awesomest thing I have ever been to in my entire LIFE!!! In case you did not know what We Day is you can read my previous blog post called We Week. We had to be at a high school to catch a bus to Saskatoon. I had to get there by 5:45am or I would miss it. The bus we were on was a charter bus and the seats were so comfortable!!! It took about 3 hours and when we got there it was a big relief to stretch my legs. We were there for the whole day!! We got inside and my jaw just dropped. It was the coolest stage I’ve ever SEEN! Sadly, our seats were way at the top so we couldn’t see that well. There was bag on all the seats. 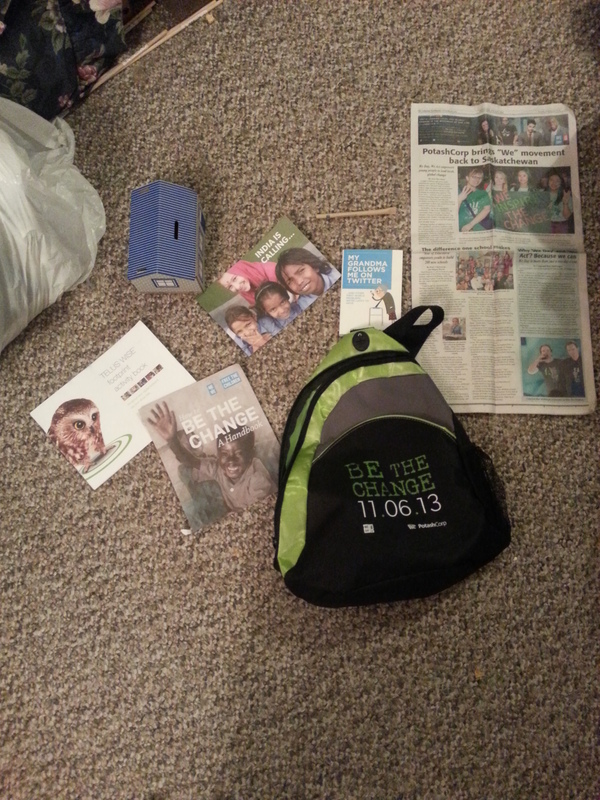 All the kids got a We Day Kit to help us help our communities. I’m pretty sure the pencil was made from a straw wrapper and the bracelet was one of my favourites. It lit up like a flashlight. The show started and immediately I hear 15,000 people SCREAM. 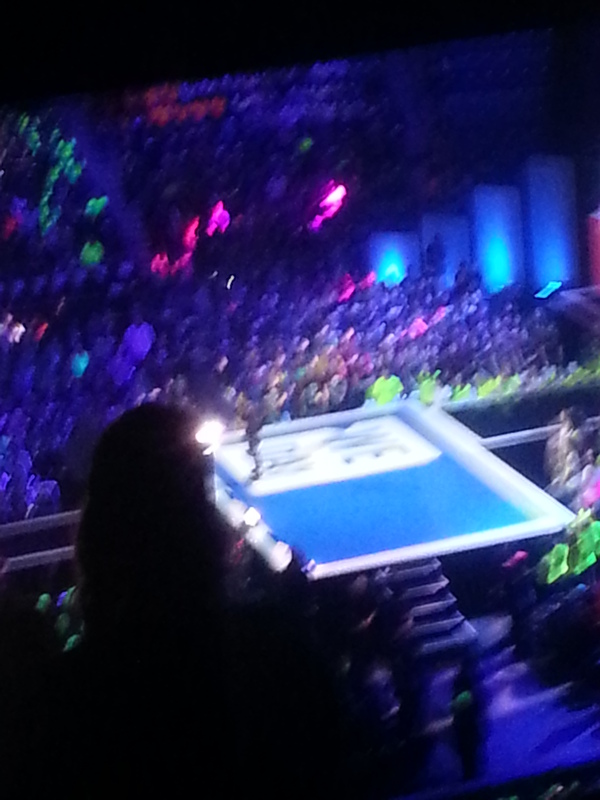 The performers included people like Shawn Desman, Spencer West, Craig and Marc Kielburger and so much more. My mom gave me money so I could buy this cool shirt that had ALL the performers on it and where We Day Takes place on certain days in different places. My favourite part was the youth speakers Vishal Vijay and Hannah Alper. Hannah talked about a girl named Malala and Vishal talked about Iqbal Masih. Both Iqbal and Malala were fighting for something they believed in. Malala fought for the right of girls getting an education, and Iqbal fought against Child labour. Both were either killed or almost killed, but that did not stop their legacy. If you click on their names, I have linked it to their stories. 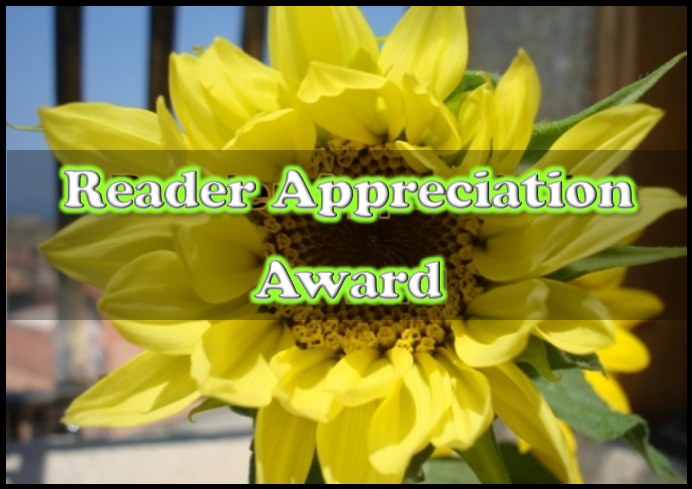 Read them – they are inspirational. Vishal Vijay – 12 year old youth speaker. Hannah Alper – 10 year old youth speaker was on the stage with him. I have a picture of her but it’s blurry. It was cool to see kids my age being youth speakers in front of so many. All the people inspired me to help be the change. Meaning I can help make a difference in the world by doing things like raising money and helping people. It felt good to know there was a way to help. My family will start volunteering this Saturday at the local SPCA (animal shelter). I want to look at other things to. The other thing is I had my first Sask. sleepover. It went on like any other sleepover would, but the fact that it was my first one in the new province I live in, makes it a special one. Plus it was a great boredom killer for a day.